When it comes to supervillains, the Joker rules the evil roost. In comic books, TV shows and movies, DC Comics' original gangsta of graphic violence has proven death-proof. 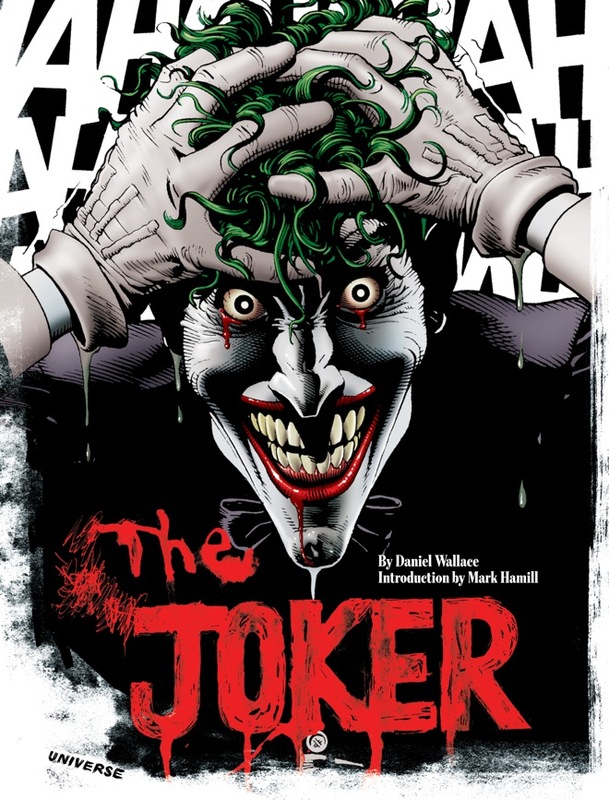 In The Joker: A Visual History of the Clown Prince of Crime , author Daniel Wallace takes readers on a hell ride through the character's history (with an introduction by Mark Hamill riding shotgun). The recently released hardcover takes us from the Joker's 1940 comics debut in Batman No. 1 all the way through the late, great Heath Ledger's Oscar-winning performance in The Dark Knight . In the gallery above, comics expert Wallace walks us through the most intriguing Joker iterations of all time. Click through for dirty tricks and visceral treats, just in time for Halloween. "Alan Moore's The Killing Joke is built around the premise that one bad day can turn any man into a maniac," said Wallace. "The one-shot story features a look at the Joker's origins as a failed standup comedian who accidentally bleached his skin by falling in a vat of chemicals, and is remembered for paralyzing Barbara Gordon (Batgirl) in DC Comics continuity after the Joker shot her in the spine. With stunning artwork by Brian Bolland, The Killing Joke was parodied on South Park when Cartman's former victim Scott Tenorman forced his tormenter into a nightmarish funhouse." Wallace called The Killing Joke "part of a one-two punch, with The Dark Knight Returns , heralding a new, more serious age of superhero storytelling." Images courtesy Rizzoli, Warner Bros. Animation, Warner Bros., DC Comics. The Joker and all related names, characters, and elements are trademarks of DC Comics (c) 2011. All rights reserved.